Tensions between North Korea and the United States will not affect next year’s Winter Olympic and Paralympic Games in Pyeongchang, it has been claimed. Relations between the two countries have deteriorated in recent weeks. North Korea and the US have traded threats as the communist country’s leader Kim Jong-un has launched new missile tests, despite repeated warnings to stop. This week, the US announced it was set to activate a missile defence system in South Korea “within days” and tighten sanctions against North Korea. US President Donald Trump announced America was sending a naval carrier group to patrol the Korean Peninsula. North Korea, meanwhile, has threatened to launch a “super-mighty pre-emptive strike” against what it called US aggression. The venues for Pyeongchang 2018 are based in Gangwon Province. Before the division of Korea in 1945, Gangwon and its North Korean neighbor Kangwŏn formed a single province. 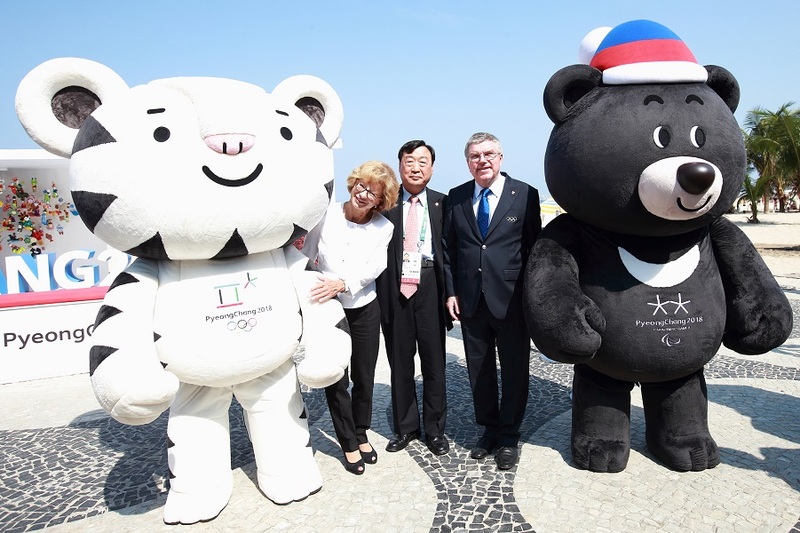 Chang Soo Jung, President of the Korean Tourist Organisation (KTO), is confident that there will be no problems during the Olympics, due to take place between February 9 and 25, or the Paralympics, scheduled for March 8 until 18. “There have been no terrorist attacks against civilians [in South Korea],” Chang told insidethegames at an event organised by the KTO to promote Pyeongchang 2018. “Unlike other famous cities in Europe and US there has been no terrorist attacks in Korea. “There has been military action between soldiers. “No country would want to escalate tension in the Peninsula before the Olympics, including the US. Chang’s confidence was shared by Joonkook Hwang, South Korea’s Ambassador to the United Kingdom. Before moving to London, Hwang was his country’s Vice Minister for Korean Peninsula Peace and had previously focused on a wide range of political and security issues both at the bilateral and multilateral level, including the North Korean nuclear issue. “I believe Pyeongchang 2018 will help reconciliation in the region,” he said. Negotiations about whether North Korea will take part at Pyeongchang 2018 are continuing. North Korea boycotted the 1988 Summer Olympics in Seoul but did compete at the 2014 Asian Games in Incheon. Calls from North Korea to host some of the events during next year’s Winter Olympics in their country were rejected by the Government in Seoul.